Brash Da Brilliant is bringing the heat in a very different way. With mumble rap taking over the chart, we sometimes forget about the heavy spitter in the marketplace. 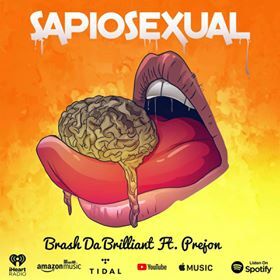 With this being said, Brash Da Brilliant has dropped a new record called "Sapiosexual" featuring Prejon, to let us know what it is really hitting for. This record will have the ladies going crazy and the guys saying "This Kid Can Spit For Real." its not often that we see the two all in one track. Click the link below to listen right now on Spotify. Trust us when we tell you, its going to blow your mind!